I began by giving Bjorn a fresh new cut, before shaving the ‘G’ icon into the back of his head. Using the image on a phone screen for reference, I created the shape using Andis trimmers and his very own Foss Fader brush. 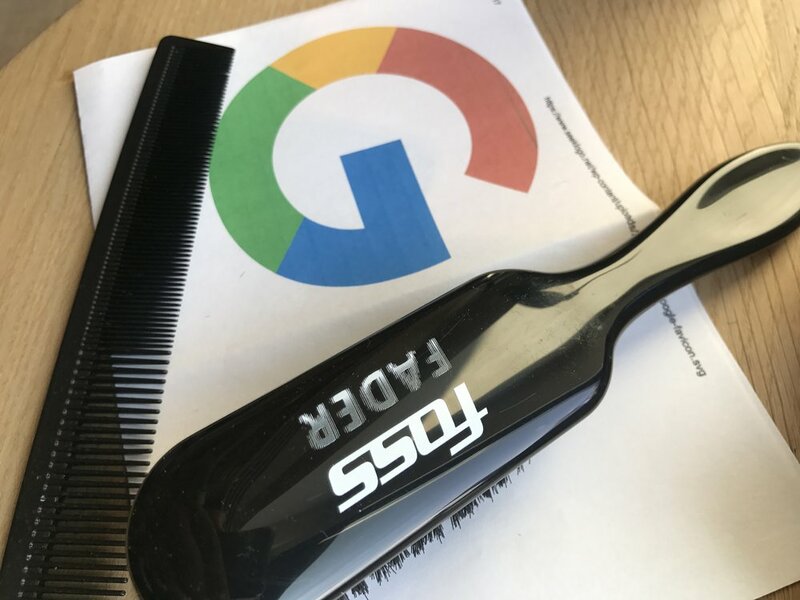 Candice Zen - founder of Totem Hair, a hairdressing business that brings their services to offices and work places in London for busy professionals - then stepped in to bleach the ‘G’ before the Android Search team set about painting it the classic red, yellow, blue and green colours using a hair stain. 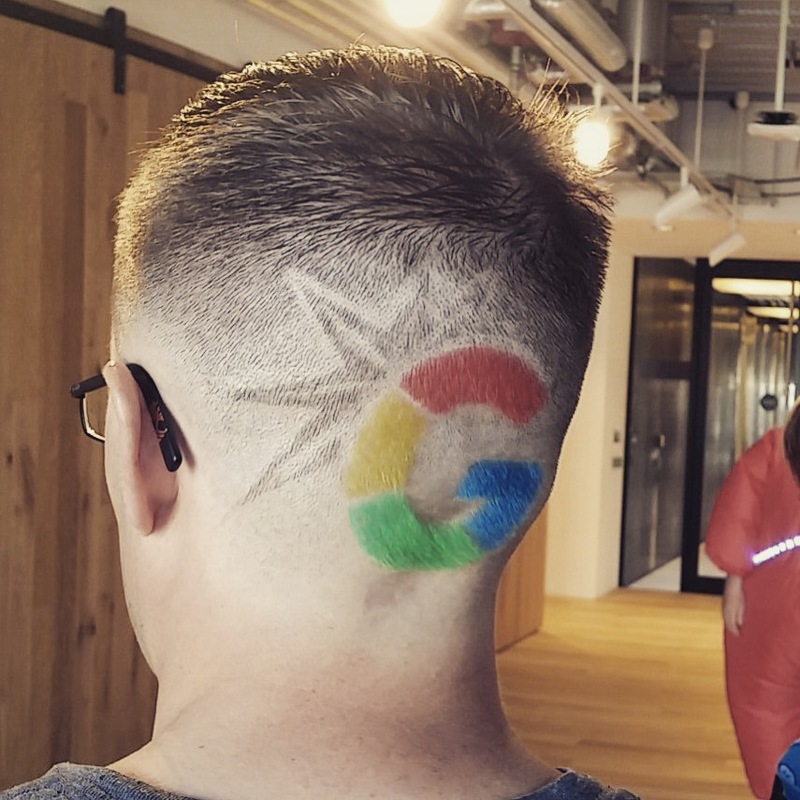 The finished result was a perfectly created and painted Google ‘G’ in the back of Bjorn’s head! 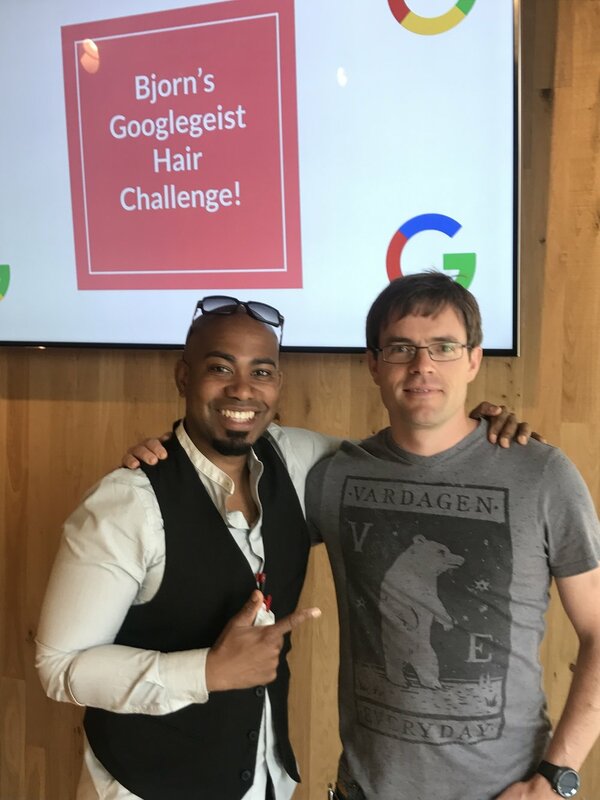 The whole event was live streamed around the building, with members of the team posting comments throughout, creating a great atmosphere that everyone could get involved with.